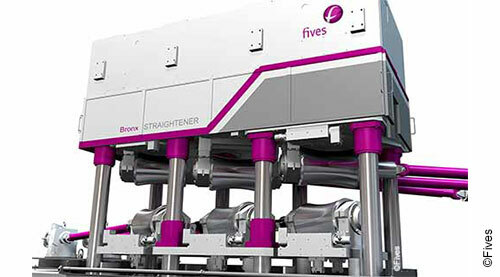 Fives designs a range of straightening equipment - six roll straightener & ten roll straightening machines - that deliver compelling solutions to the market that make your tube finishing equipment line the most efficient. To accommodate special straightening applications, Fives designs a range of Bronx ten roll machines. These straighteners include custom-built machines to suit individual requirements and provide straightening solutions for virtually any size and material composition. The Bronx machines have some distinctive features, accomplishing a set up with relative ease to achieve the required straightness for your product.